Easter is a holiday that kids look forward to for ages. The egg hunt, the chocolate. What's not to love? Perhaps how quickly everything is over. Getting your kids to create their own Chocolate-Free Easter Egg Hunt will help make the fun last longer (or take place at any time of the year). It can even be played both indoors or outdoors. 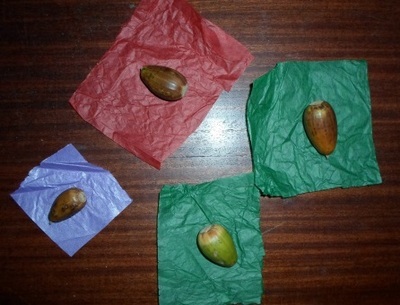 This activity is perfect for anyone who has an oak tree growing near them, as Easter corresponds to the time of year when the trees are dropping their acorns. 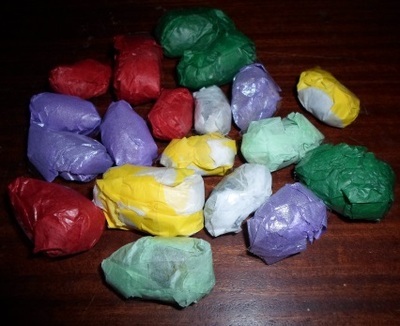 These happen to be the perfect size to act as substitute Easter Eggs. 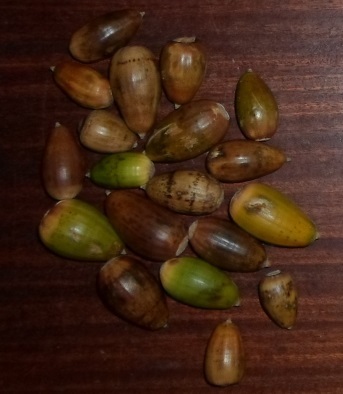 However, if you don't have access to an acorn tree, you can substitute the acorns with other objects, like rocks. In fact, if you use bigger items, it becomes possible to decorate the eggs too. Collect as many acorns or rocks as you can find (this step is like a mini egg hunt itself). 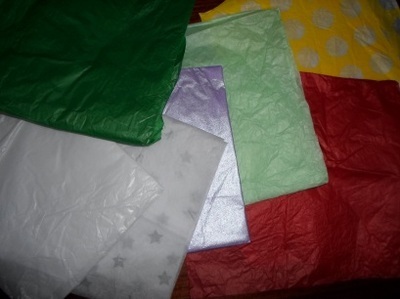 Cut out the tissue paper. 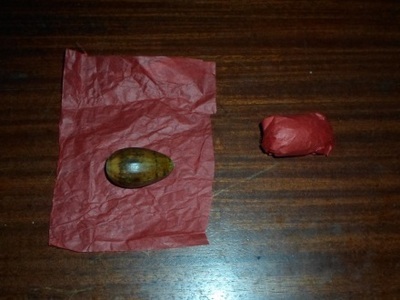 It doesn't really matter what size, but I found pieces about between 5 centimetes and 10 centimetres were best, as you can just roll the acorn up and there's not too much extra hanging over each end. Other paper can be used too, but I find that tissue paper is easier to shape around the acorns and looks fine when scrunched up (which means I can reuse pieces I've received presents in too). 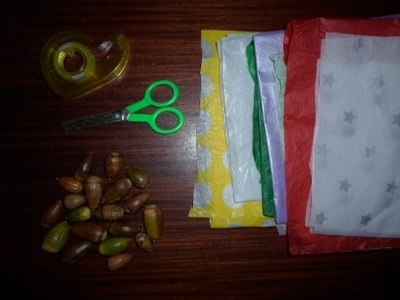 Wrap the tissue paper around the acorns, using the sticky tape to hold it in place. Because it's so thin, you may want to use two pieces at once so the colours are more vibrant. Delegate someone to hide them. 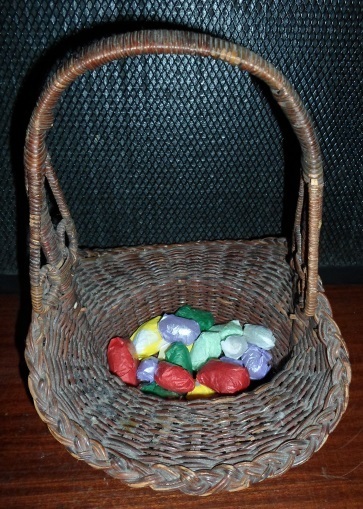 Get your basket or bag and go find them! Wow, thanks so much Claire. And thank you too, Jane.